The co-founder of the Jigsaw Seen 25 years ago (alongside ace guitarist Jonathan Lea), former all-Maryland high-school soccer player Dennis Davison gets his exercise these days as a professional dog-walker. Strolling L.A.’s concrete canyons gives him ample time to do what he does best: write distinctively original lyrics and melodies that give off the mere whiff of former heroes such as the Bee Gees, Who and Love. Unlike previous albums, Old Man Reverb, Jigsaw’s fourth set of originals in the past four years, has a unified sound running throughout. 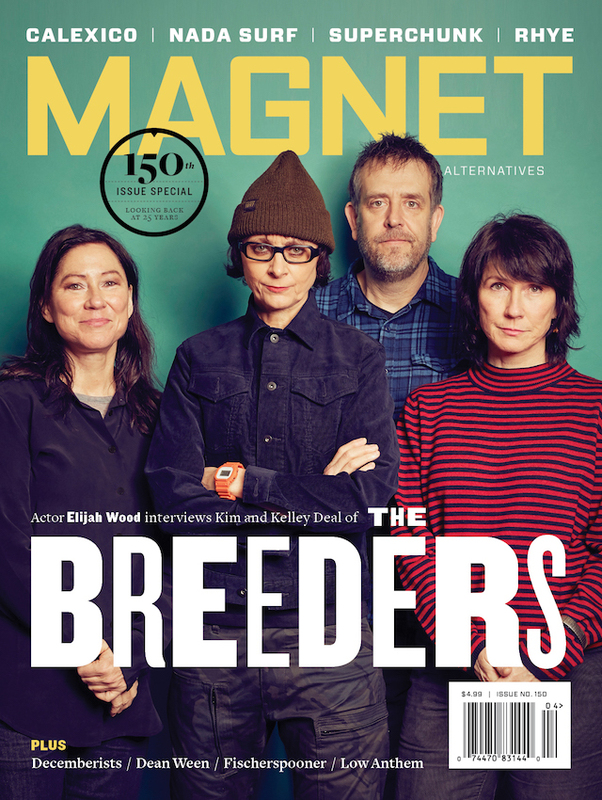 Davison and Lea will be guest editing magnetmagazine.com all week. Read our new feature on the Jigsaw Seen. Lea: The first David Bowie album I ever bought was David Live (recorded on the Diamond Dogs tour in 1974), featuring the excellent guitar playing of Earl Slick. When I backtracked and purchased Ziggy Stardust and Aladdin Sane, I discovered a guitar sound and style that instantly connected with me, played by Michael “Mick” Ronson. Ronson worked with Bowie from 1970 through 1973, playing virtuosic guitar on tracks such as “Width Of A Circle,” “Moonage Daydream” and “Panic In Detroit.” He went on to record solo albums, tour with Bob Dylan and eventually partner with Mott The Hoople’s Ian Hunter. Mick died of liver cancer on April 19, 1993. Dennis Davison and I had a recording session that day with Phil Kenzie (saxophone player on Mick’s Slaughter On Tenth Avenue tour), and when I told him the bad news he was devastated, spending the entire session telling us stories about Mick and the tour. The Jigsaw Seen have only performed a Bowie song occasionally over the years, but in 2011 I finally lived my dream of playing an entire set of Bowie/Ronson music as the guitarist for Ann Magnuson’s “Ann Magnuson Does David Bowie” shows. Boy, could he play guitar.